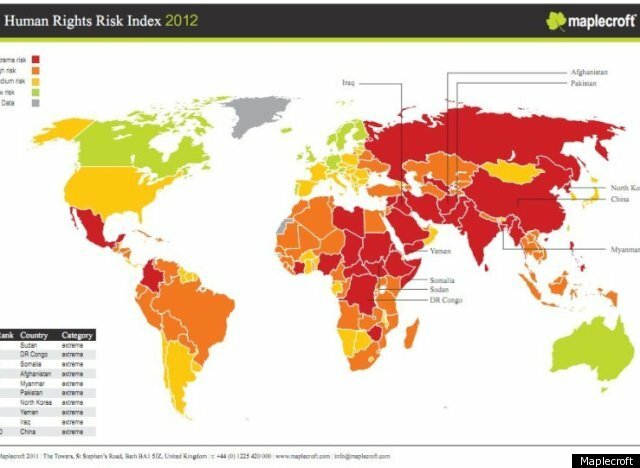 Human Rights Risk Index | Vad händer i Mellanöstern idag? Even as they make gestures toward rapprochement with the West, Iran’s leaders remain among the world’s worst human rights offenders, according to a State Department report Thursday that shows an increase in reported violations since President Hassan Rouhani took office last year. The report documented Iran’s record of floggings and court-ordered amputations, discrimination against ethnic and religious minorities, crackdown on press freedoms, and 624 executions – many after flimsy trials.